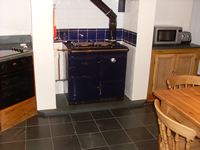 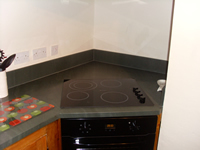 Transform a nice kitchen in to a stunning kitchen! 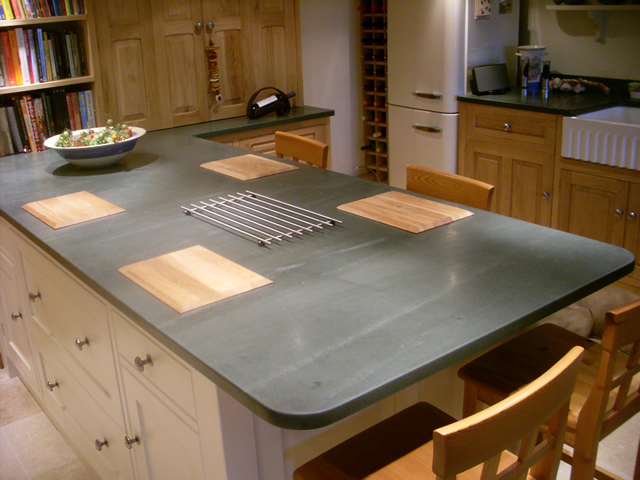 Beautiful handcrafted Worktops are the focal point of any kitchen.From templating to fitting we specialise in working on a one to one basis with our clients.From colour choice to different graining,these can be darker more constant to a very light pattened. 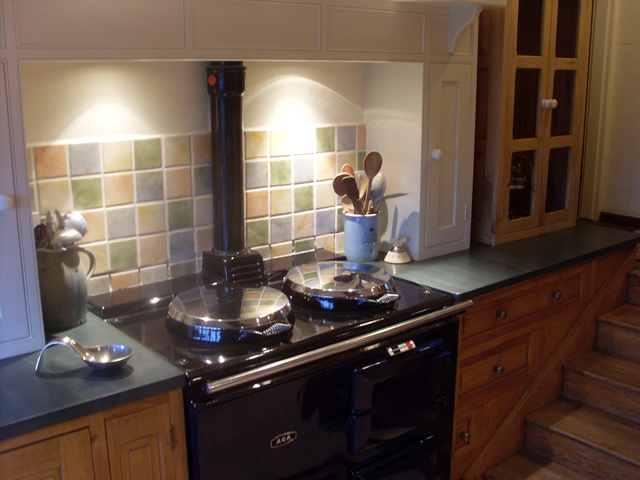 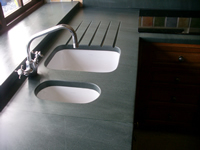 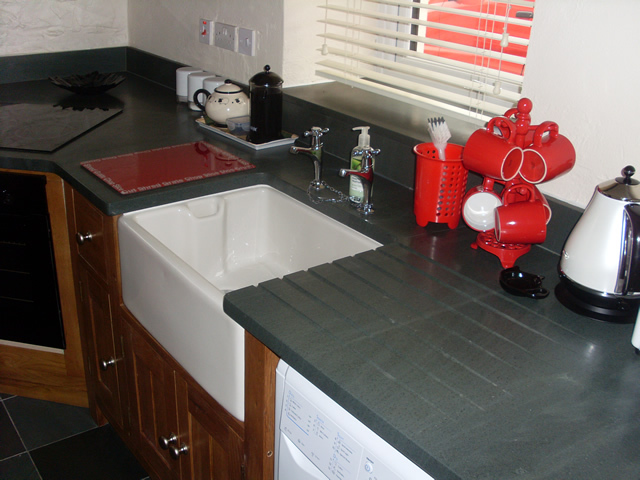 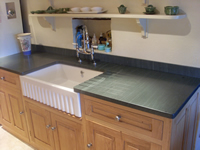 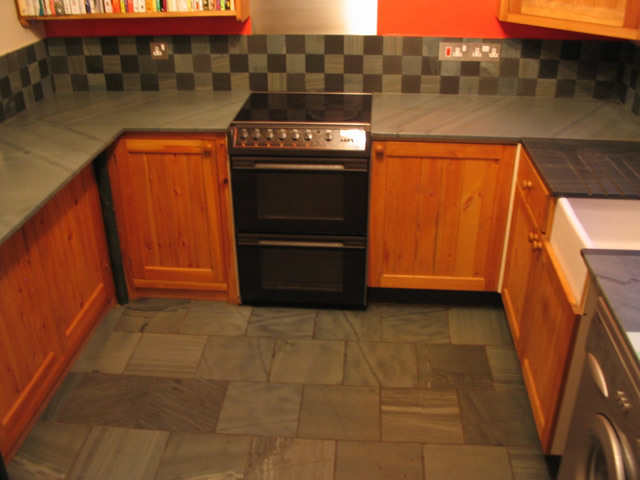 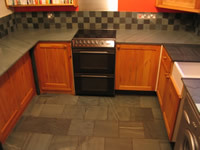 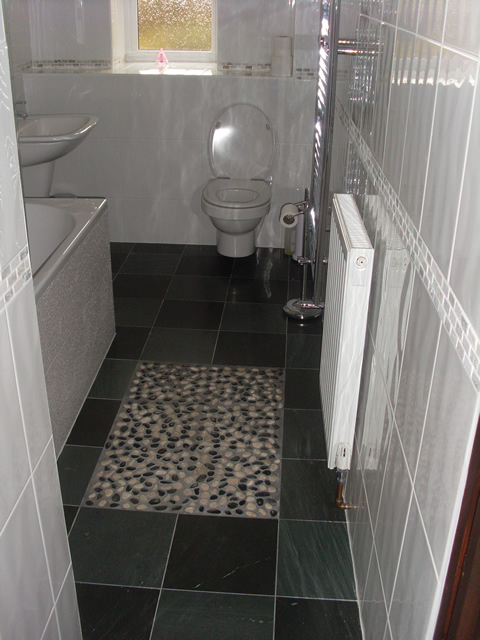 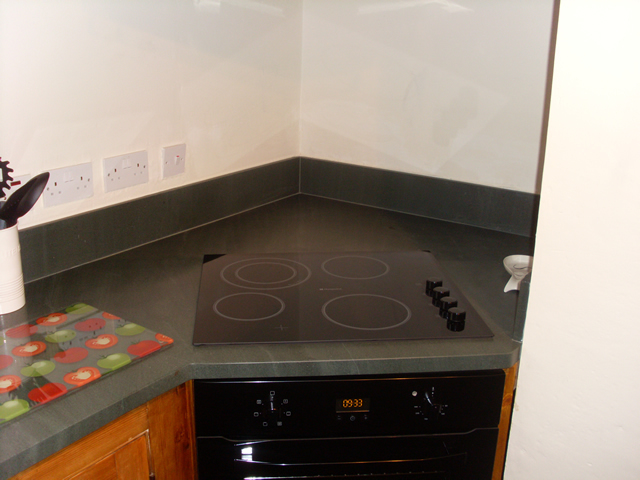 We charge a basic M2 price for the slate then charge for cut-outs for sinks and hobs,drainer grooves,tap holes,polished edging,splashbacks,plug sockets,etc. Price List for Worktops & Vanity Units. 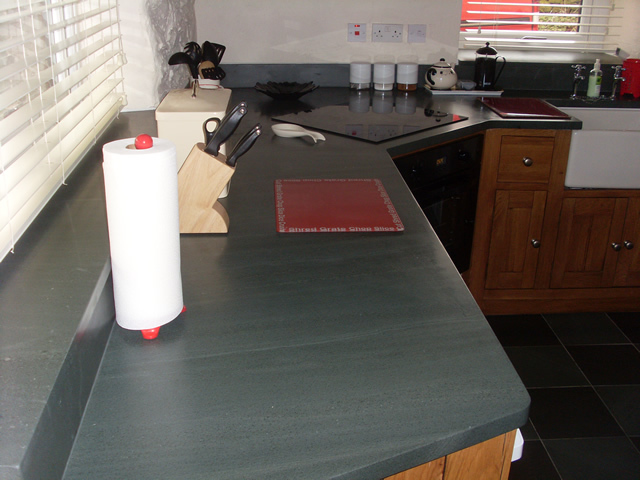 30mm thick polished and cut to size £240.00 per lin mtr @ 600mm wide. 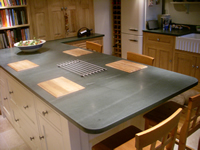 Template, delivery & fitting service available, please contact us for details.